Collins Booksellers - Boost Your Memory: Memory Aids and Enhancement Techniques to Sharpen Your "Wits" by Dueep Jyot Singh, 9781311106148. Buy this book online. 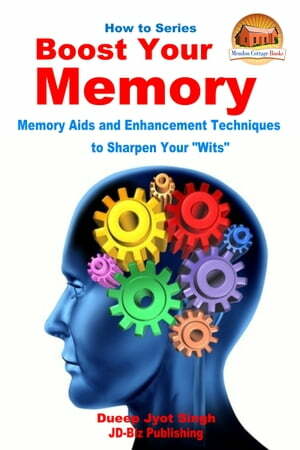 Boost Your Memory: Memory Aids and Enhancement Techniques to Sharpen Your "Wits"
What have I forgotten to do now? Once upon a time, people used to boast about their long memories, especially when they were talking about the transgressions of other people, and they could recount clearly every word spoken and what happened next, about things which happened more than half a decade ago. But most of us, today are rather proud of the fact that we are so absent minded, we forget so easily, and we put on our apologetic faces and say, uh oh, I forgot. This is definitely not using our brains to the full capacity and this is why this book is going to tell you all about really good tips and techniques in which you can boost your memory.